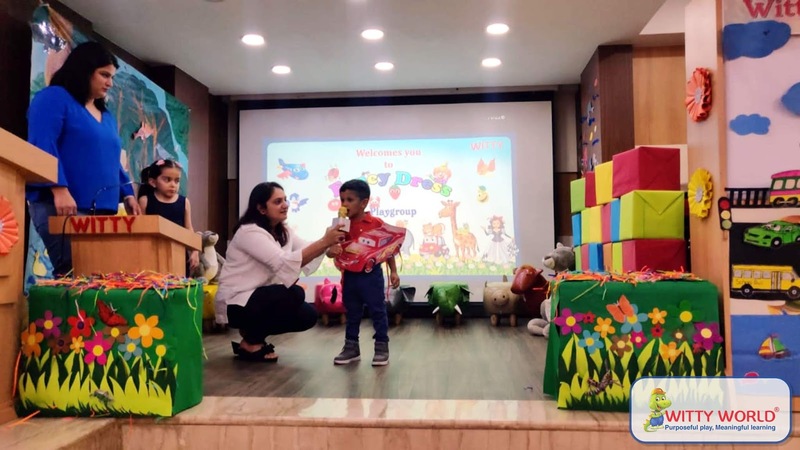 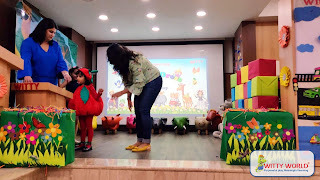 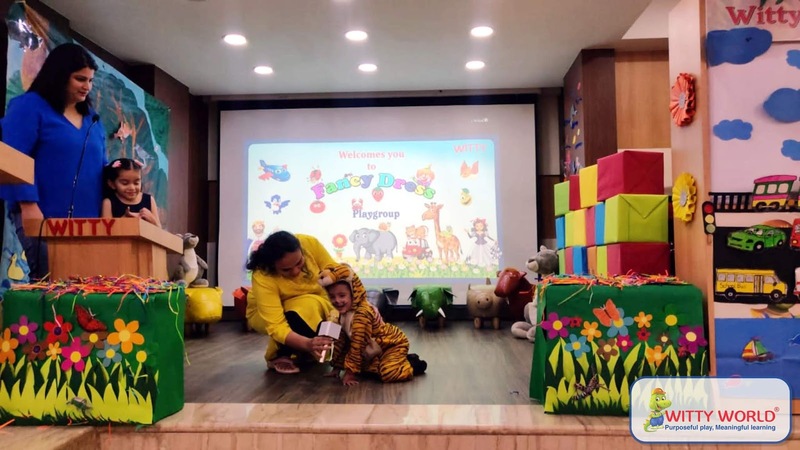 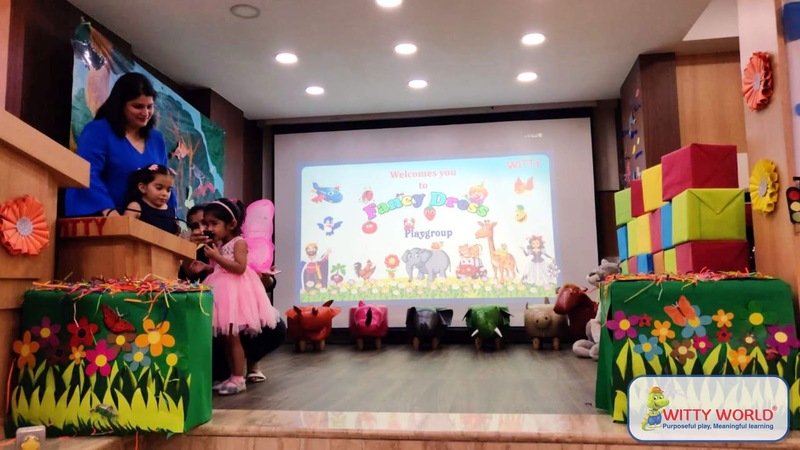 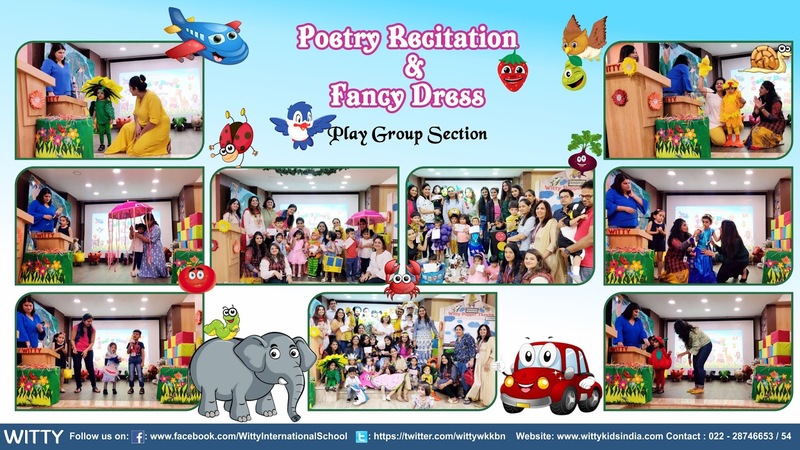 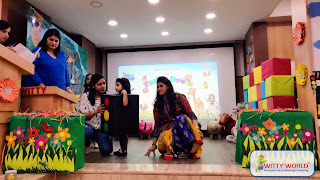 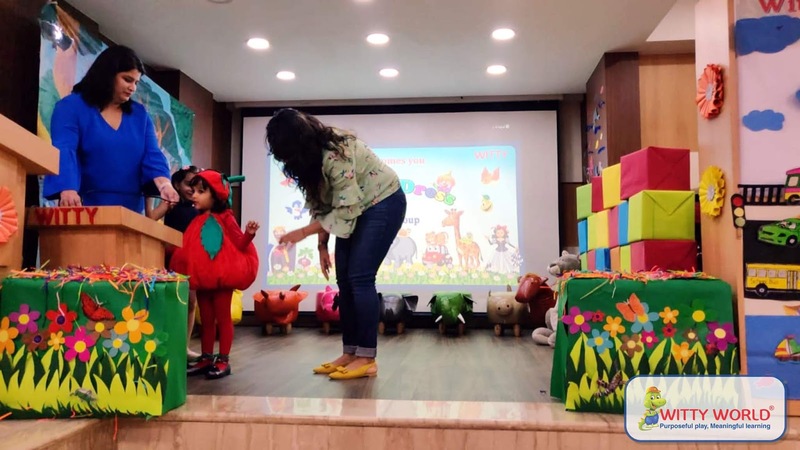 On Friday, 5th April, 2019 our little Playgroup“Wittans” had a great and special event called Fancy dress and poetry recitation at Witty World Bangur Nagar, Goregaon (W) . 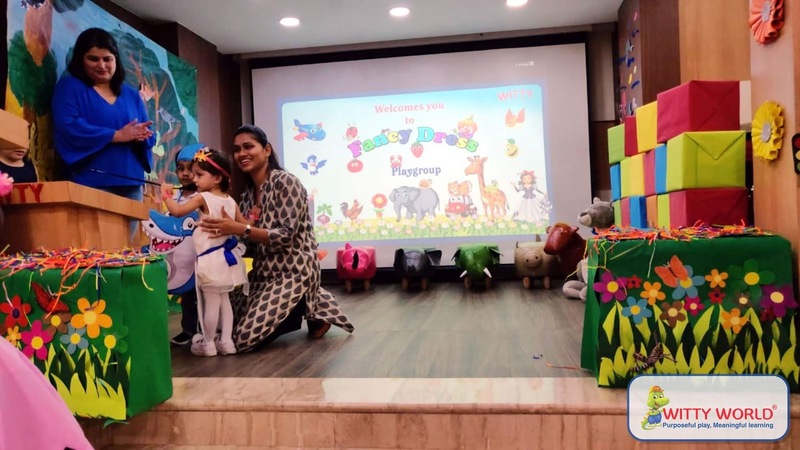 Little Wittians came dressed as different types of Fish, vegetables, insects , wild animals , pet animals , farm animals ,transport etc, costumes specially designed by their parents.The event was a culmination of all themes done till date. 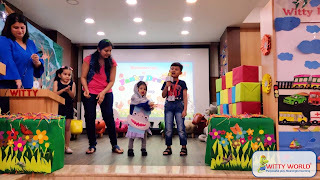 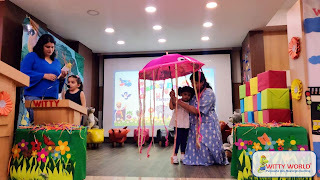 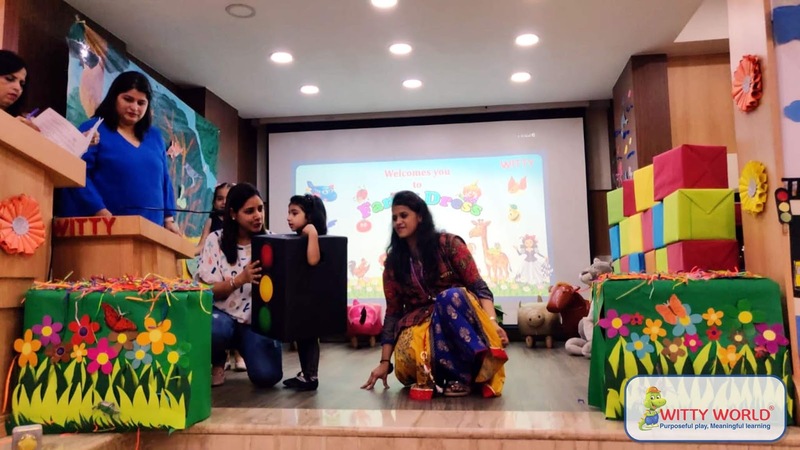 The parents motivated their children to speak few words and recite poem about the character they were dressed up in.This activity was fun and excellent for children as it sparked their imagination and made them think more. 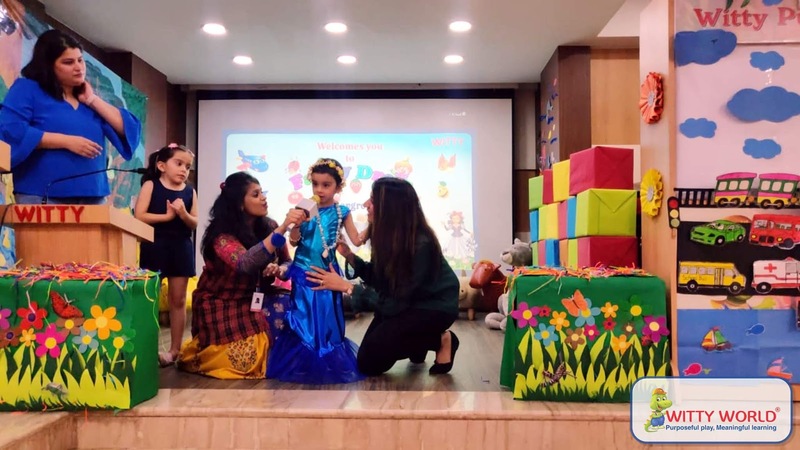 It stimulated creativity in parents when they dressed up their little ones in the character costume. 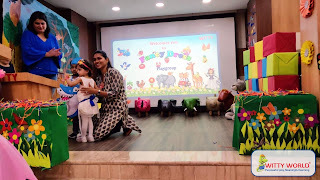 It was an amazing moment for our little wittians to see their peers also dressed up in different costumes of animals,birds, fruits and vegetables etc.Scholastic and co-scholastic activities have an equal importance in school programme for the all-round development of the child. 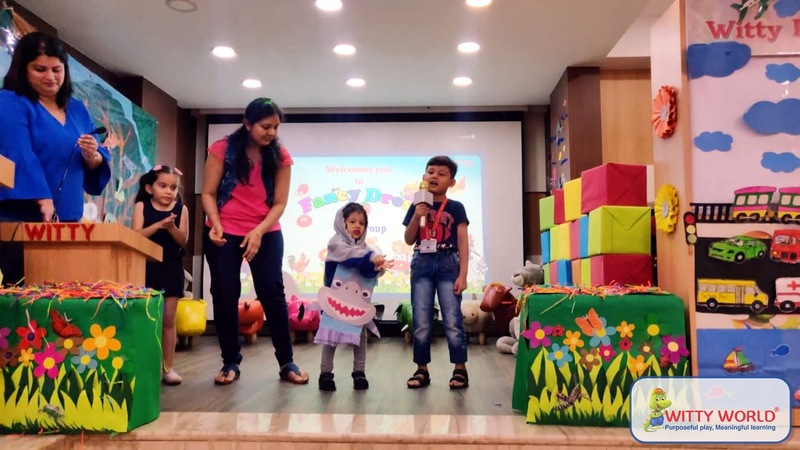 Children love to mimic and impersonate what they see, and want to become just like them. 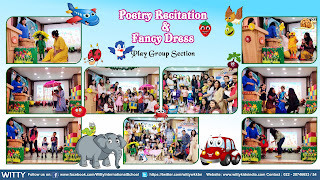 .Children love it when they are included in any activities like acting of animals, birds or any other human being. 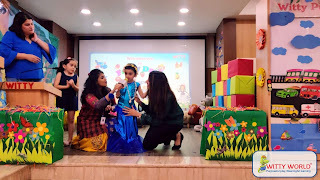 Fancy dress activity was fun and kids enjoyed a lot!